Join us in celebrating the recipients of the GSAS/OHMA Student Research Grants! Congratulations to OHMA Co-Director and Columbia Center for Oral History Research Director, MARY MARSHALL CLARK, on being awarded the 2017 Forrest C. Pogue Award from Oral History in the Mid-Atlantic Region! Mary Marshall has served on the OHMAR Board and is a lifetime member of the organization. We are proud to announce that our 2016-2017 OHMA Research Grants have been awarded to current students Robin Miniter (2016) and Fanny Julissa García (2016), who will be exploring the experiences of women who have navigated either American wilderness and patriarchy, or immigration detention and identity formation. Funding and support has been made possible through the GSAS Thesis Research Matching Award program. 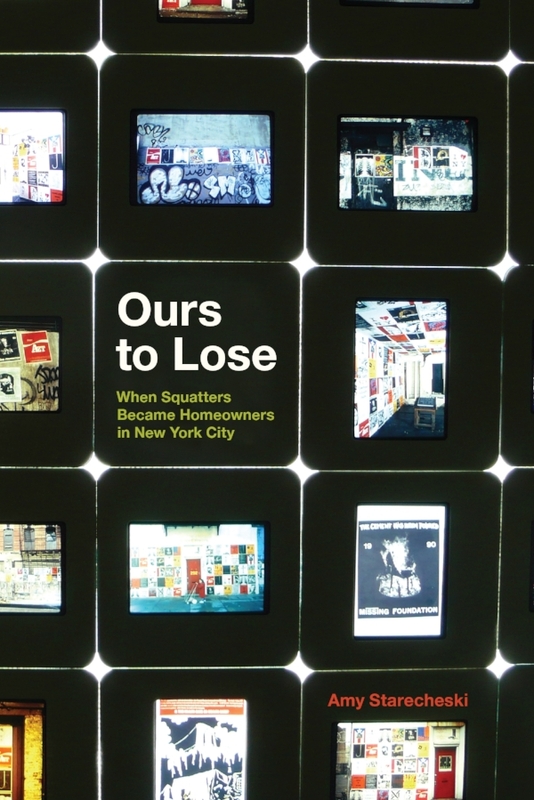 OHMA is excited to announce that Amy Starecheski’s book, Ours to Lose: When Squatters Became Homeowners in New York City (University of Chicago Press, 2016), has officially been published! It is for sale online and is starting to appear in bookstores, from Red Emma's in Baltimore to Book Culture on Broadway in New York City. Congratulations, Amy! We look forward to hosting you for an OHMA Workshop lecture on Thursday, January 19, 2017. Applications are now open for a new two-week long intensive seminar exploring oral history, memory, visuality, and the body. The course is co-sponsored by the European Research Council Project Bodies Across Borders: Oral and Visual Memory in Europe and Beyond (BABE) and the Columbia University Oral History Master of Arts Program (OHMA), and hosted by the Department of History and Civilization at the European University Institute, Florence. The Jeffrey H. Brodsky Oral History Award is given to one student annually whose thesis makes an important contribution to knowledge and most exemplifies the rigor, creativity, and ethical integrity we teach our students. We are pleased to recognize Benji de la Piedra’s (2014) contributions to advancing the field of oral history and look forward to presenting the award in person at his thesis lecture next month. Please join us for the celebratory event on Tuesday, October 18 at 6:30 p.m. in 509 Knox Hall, co-sponsored by Columbia's Center for American Studies and Alliance for Historical Dialogue and Accountability, where Benji is a fellow this fall. Meet Our 2016-2017 Graduate Assistants! From left to right: Dina Asfasha, Fanny Garcia, and Emma Courtland. OHMA is excited to welcome three new graduate assistants for the 2016-2017 academic year! Dina Asfaha joins us as Program Assistant, offering research support to faculty, helping organize our public events, and contributing to OHMA's special projects. Fanny Garcia is our Outreach Assistant this year, expanding the scope of our public engagement, increasing the visibility of our program, and deepening our social media presence. Emma Courtland will be our Video Production Assistant, recording our Oral History Workshop Series lectures, editing our YouTube broadcasts and podcasts, and conducting video interviews with our program affiliates. In this post, OHMA alum Kate Brenner (2014) writes about her desire to make oral history projects more accessible to a public audience. The popularity of podcasts means the field is ripe for oral history, but breaking into the world of radio is difficult for people unfamiliar with it. As a result, Kate decided to start Amplify: The Oral History Podcast Network.